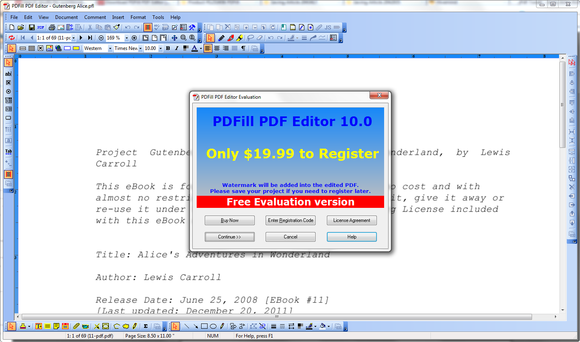 PDFill is very clear about telling you what your options are. 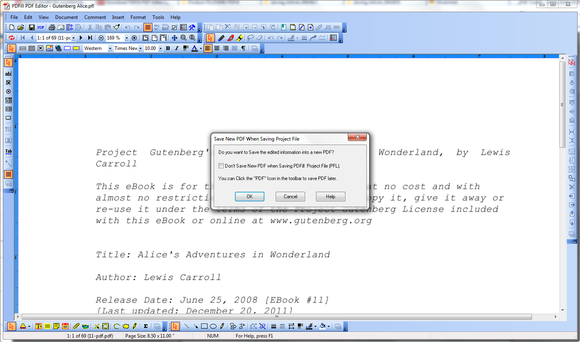 In a default installation, a PDF button appears inside Microsoft Word, Powerpoint and Excel to start PDFill directly. You can also insert the same button into the Internet Explorer browser, and into the Quick Launch and SendTo functions of Windows. 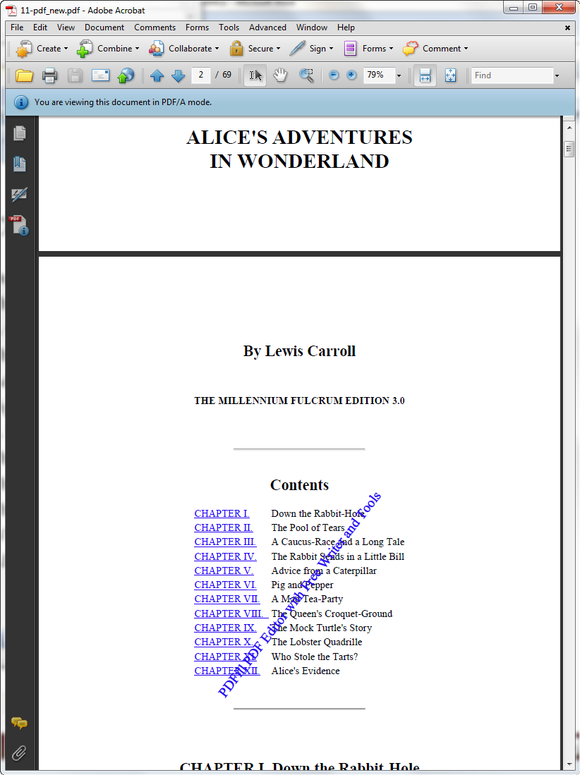 If you go this route, it integrates very tightly into your system, becoming the go-to program for any PDF editing needs. These options are voluntary, and you can easily de-select them at installation. PDFill's nag screen isn't fun, but it does warn you about the upcoming watermark if you don't pay $20 for PDFill Editor. 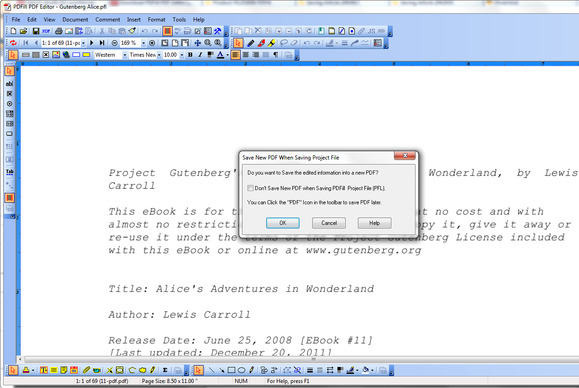 The watermark that PDFill leaves on PDFs made with unregistered software might make it hard to appreciate some documents. 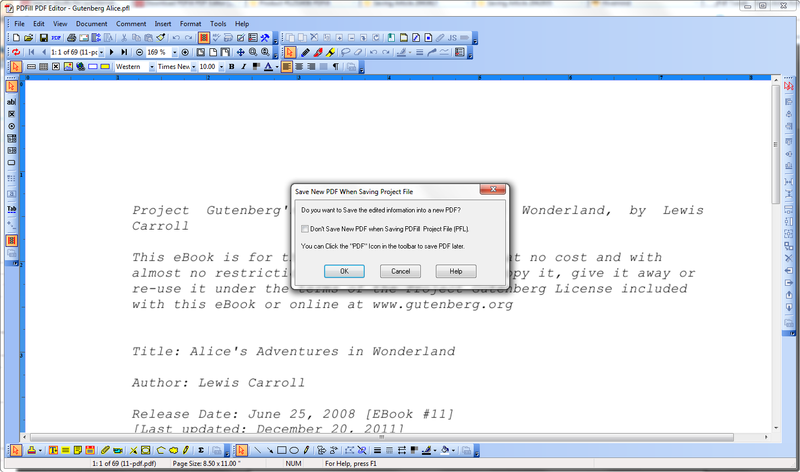 PDFill packs a punch when it comes to PDF editing functions, and the free version is fine for anyone who doesn't mind watermarks. That said, the $20 pro version is a really good deal, considering the features that you get.